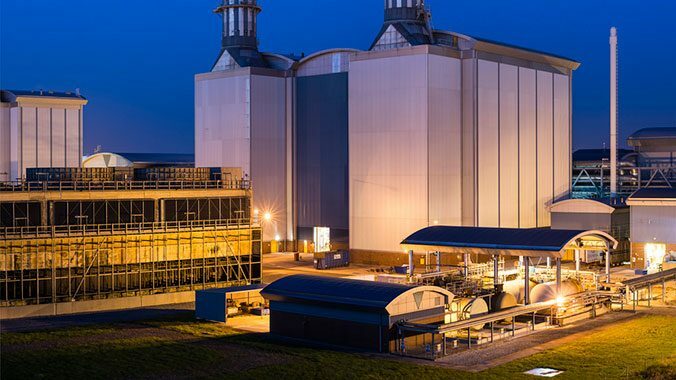 The £435m plant was built by Siemens Power Generation and opened in 2000. The power plant provides enough electricity for approximately 1.6 million people. Capitol Signs have worked with Seabank on many projects over the years ranging from corporate headquarter flags and poles through to engraved Control Room panels. 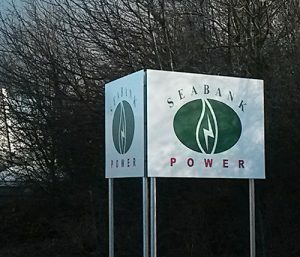 The requirement for this project was to install new signs to welcome International visitors and staff to the entrance of the vast Seabank Power Plant. The brief was to create signage that would be seen at distance and by traffic passing at speed as the plant is situated on a very long and straight road. Capitol decided on the no fuss! no frills! approach – just matter of fact, easy to identify, double sided Arctic White Metal ”V” signs to be attached onto Galvanised steel posts. The signs were installed following a thorough CAT Scan of the area to identify and avoid any hidden services or danger hazards.